You may recall from this post that I had an abnormally long and successful Fall 2016 climbing season. Typically after I send a hard project I take along break from climbing, but I sent my season goal-route (Shadowboxing) so early in the Fall 2016 season that I was still stoked to continue working (and hopefully sending) hard routes. In the past I’ve had great success sustaining high levels of power and fitness through regular Maintenance Training (discussed extensively here). That approach works well when you can count on many, regularly-spaced indoor training days, in which you are able to train long and hard. However, my outdoor days on Shadowboxing were too intense to permit quality maintenance training during my rare and sporadic indoor training days. The other problem was that Shadowboxing was basically a long enduro climb, whereas most of my remaining projects were short power-fests. 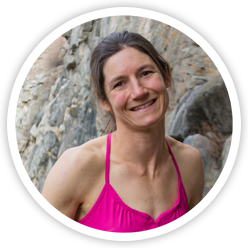 I had trained my body for endurance climbing and deliberately neglected power. I felt like I needed to top-off my power to have a chance at these projects, and widen my fitness base if I wanted to extend the effective length of my season into November. After 8 weeks of training for Rifle endurance, I used a Micro Cycle to re-tune my power for short burly routes like 7 Minute Abs. 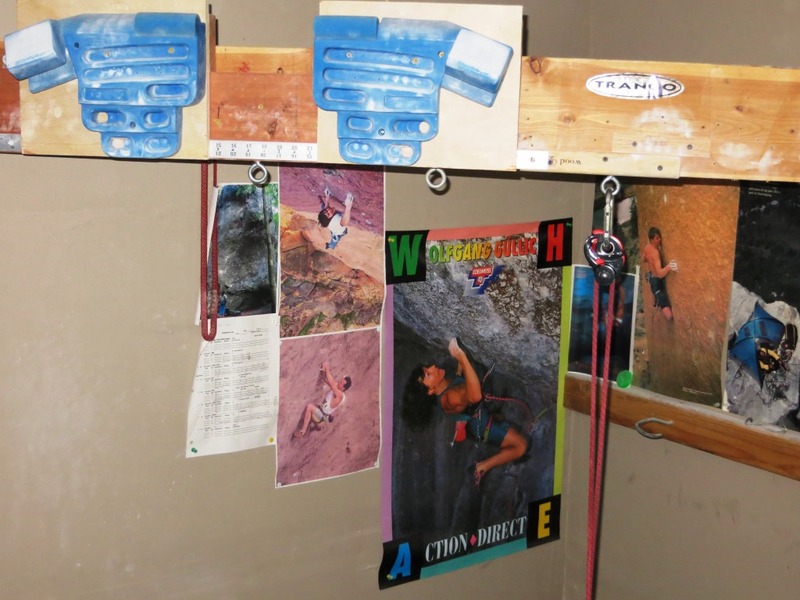 I started with a mini-Strength Phase, which included two full, “normal” 6-grip Hangboard workouts. 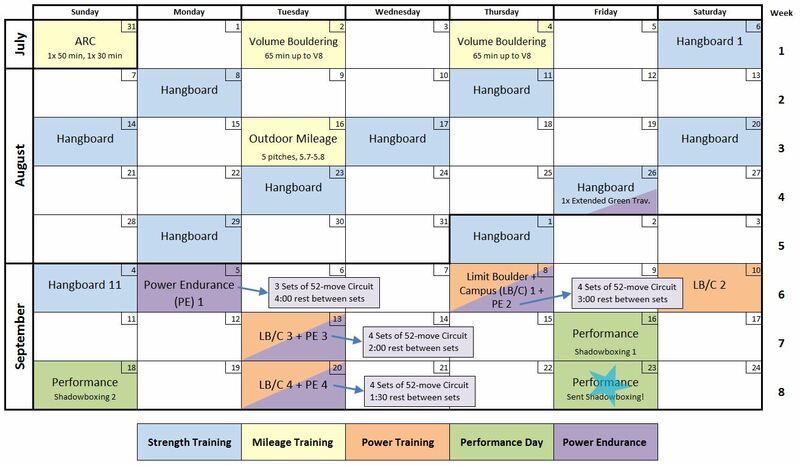 My third workout was a hybrid between Strength and Power Endurance (PE), comprised of a 4-grip Hangboard workout (including the four grips I felt were most relevant to my upcoming goals), then a 45-minute rest, followed by 3-sets of Route Intervals (for tedious details on my Route Interval, see this post). Next I transitioned into a mini, hybrid Power and PE Phase. 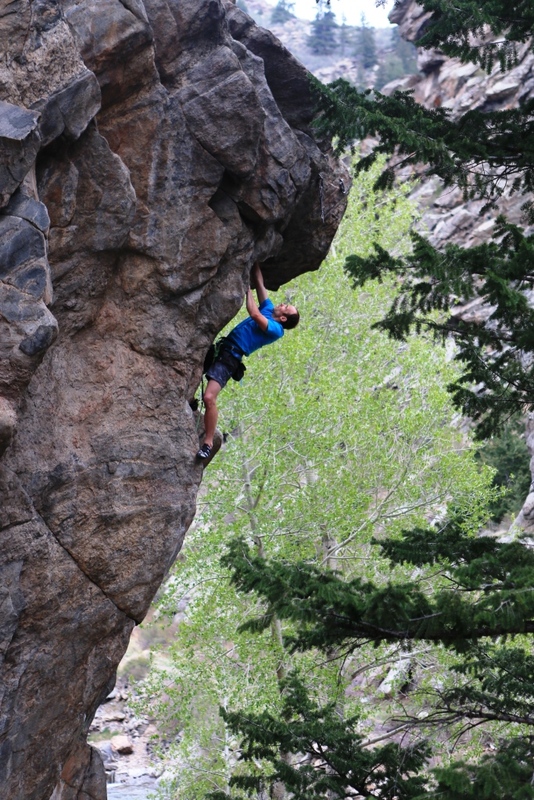 The “LB/C + PE” days consisted of ~45 minutes of bouldering (including Warmup Boulder Ladder, Hard Bouldering, and Limit Bouldering), then ~30-40 minutes of Campusing, followed by 3 or 4-sets of Route Intervals. 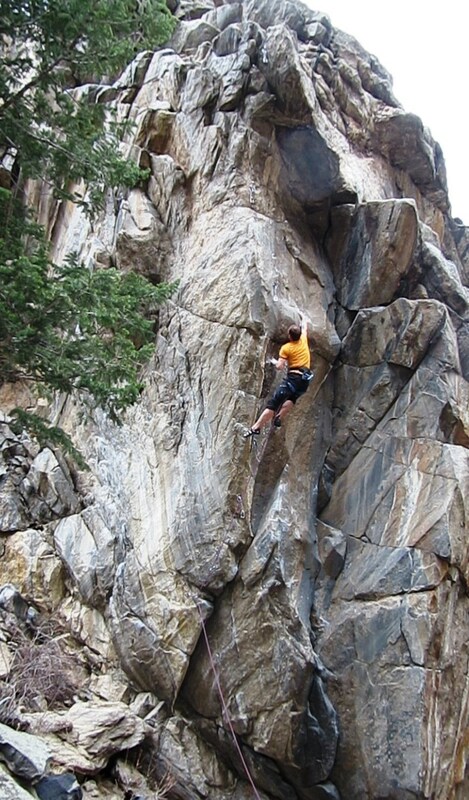 The “LB/C” day included longer durations of bouldering and Campusing, without any PE training. 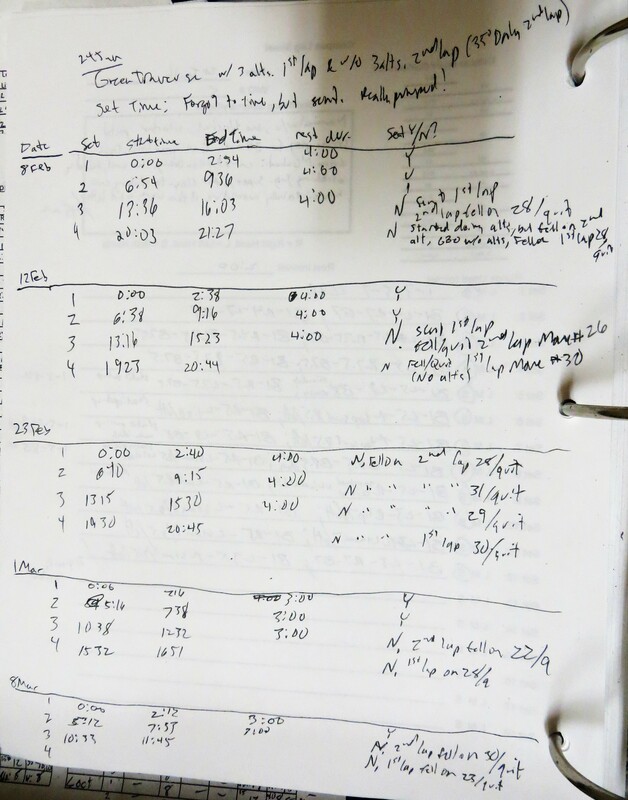 Note that I wrapped up every training session with 2-3 sets of my typical assortment of Supplemental Exercises. The Micro-Cycle worked pretty well. On paper I was just as strong on October 3rd as I was on September 4th, and just as fit on October 11th as I was on September 20th. On the rock, I continued to climb well through mid-November, FA-ing the powerful 5.14b Double-O Ninja on November 4th, a full two months after the end of my initial, full Strength Phase. Normally I would be well past my peak (especially my power peak) at that point. 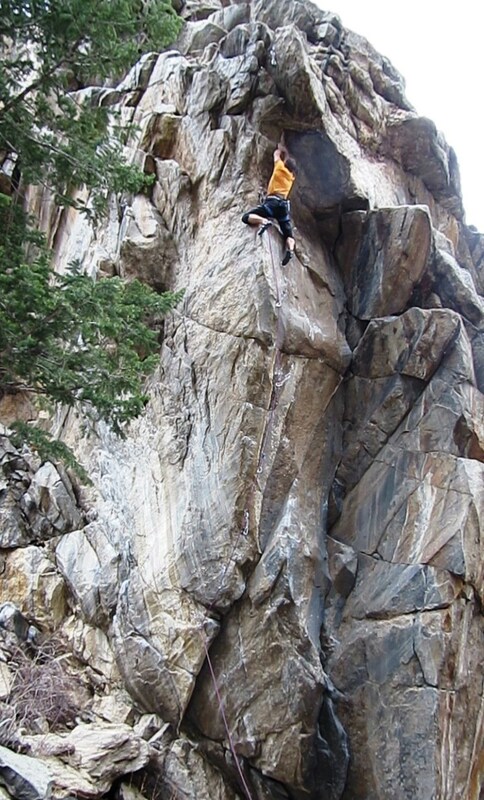 Ultimately the limiting factor in my season seemed to be motivation—at times I struggled to stick to the training plan and continue going to the crag, especially in the wake of so much success (I realize that may sound counter-intuitive, or at least pompous, but in my case I tend to want to relax after sends, and often find failure more inspiring). After two months of training for long pump-fests, a short and sweet “Micro-Cycle” helped re-tune my fitness for short, powerful routes like Double-O Ninja. The next time you find yourself motivated to extend a Performance Peak, give your power a quick boost, or fine-tune your fitness to suit a particular goal route, consider a Micro-Cycle such as this. Keep in mind the workouts, frequencies, and scheduling described here are just one example. These variables can be manipulated in many ways to accommodate different goals. This is the third installment in a multi-part series about my training for Shadowboxing. For the first installment click here. For the second installment click here. Visualization is an important part of any hard ascent, but the picture in our mind is often overly idealized. We imagine everything going flawlessly—executing the sequence perfectly, in optimal weather conditions, feeling fantastic the entire time. I do this because I doubt I have enough margin to scrap my way up the climb, instead thinking that if I’m going to do it, every factor will have to converge perfectly. Conversely, professional coaches and athletes in major sports often speak of overcoming adversity, such as unfair officiating, weather that doesn’t favor their game plan, or unlucky bounces. I thought about that a lot through the long winter, and tried to prepare myself mentally for the hurdles I knew I would face (such as poor conditions), plus others I wasn’t anticipating. I needed to be prepared to roll with the punches, rather than fold the first time something didn’t go my way. 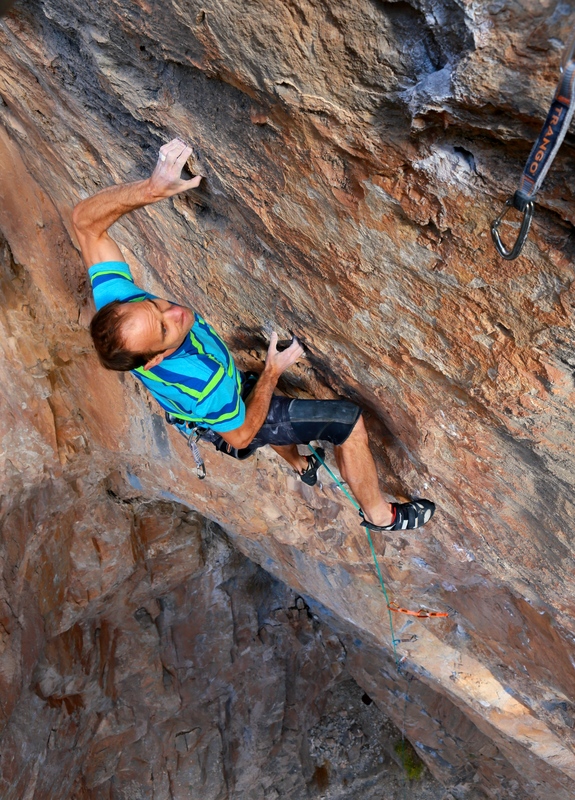 Mark Anderson making the third ascent of Shadowboxing, 5.14d/9a. Photo Mike Anderson. If you asked me at the end of May, I would probably say that I failed miserably in this endeavor. At least, I failed to anticipate the scope of my trials. It started with a bout of the flu that hit at the worst possible moment: three days before I was set to get back on the route for the first time in seven months. I was reduced to oblivion for 60-straight hours, and feeble and woozy for four days after. This resulted in a day of lost training and two sub-par days on the route, but more importantly, about a 10% reduction in strength and power that I was never able to recover. The next blow was seeping rock that was much worse than I anticipated. 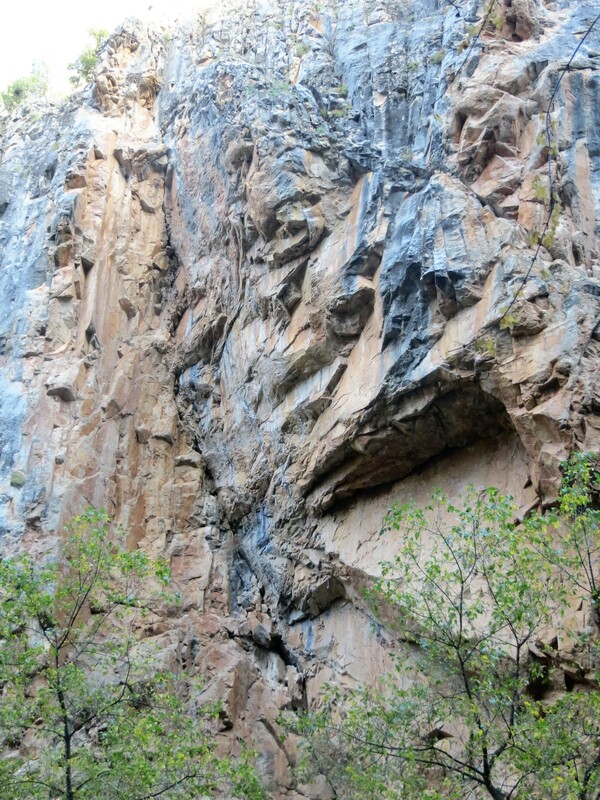 When I first returned in May roughly 1/3 of the holds in the lower half of the route were wet. Not that it mattered–I was so wrecked from the flu I was lucky to link ten moves in a row that first weekend! 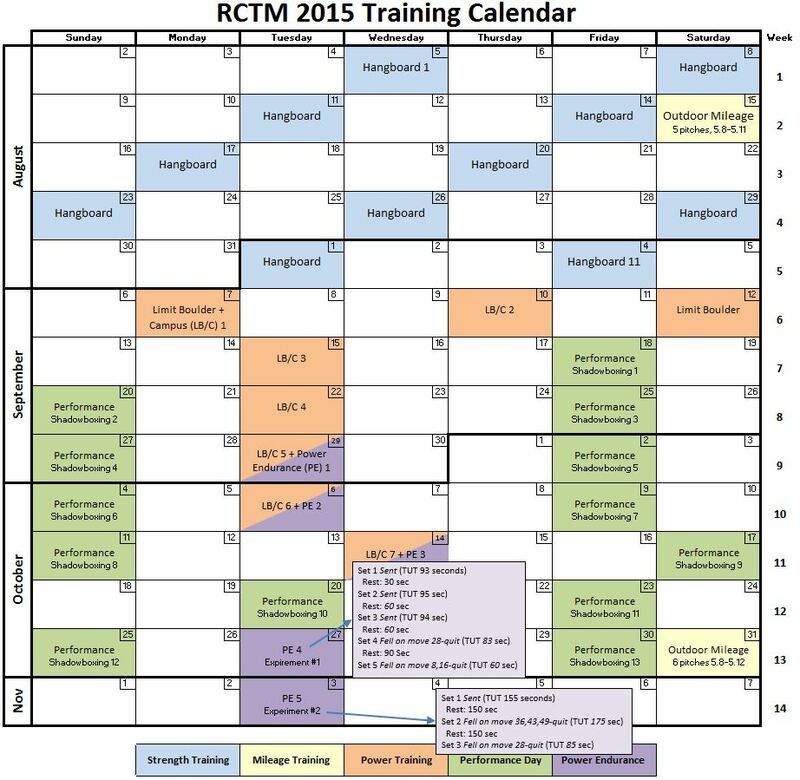 Training schedule for my May/June season. Unfortunately that wasn’t my low point. Over the next two days I waffled constantly about whether or not to continue on the route. June was imminent, and I expected the temperatures to sky-rocket at any time. Was it helpful to keep at it when I wasn’t making progress? Even if sending this season was unlikely, would continuing on the route improve my chances of success in the upcoming Fall, or was I just training myself to fail, wrecking my confidence and killing my motivation? This all came to a head during my weekly indoor training session at the end of May. In general, my PE training was progressing nicely, picking up where I left off in March. I continued to attempt 4 sets of my new 52-move circuit, starting with 4:00 rest-between-sets, and reducing it as the season progressed. However, my power training went from phenomenal to dismal after the flu. I was never able to recover my power since my weekend forays on the route were too taxing to allow for sufficiently intense mid-week indoor sessions (in retrospect, it may have been wise to delay my outdoor climbing in order to re-hone my power after the flu, but at the time I felt pressed for time with summer heat a few weeks away). On that last day of May, my bouldering and campusing were particularly poor, and I ended both segments much earlier than planned. At that moment I was ready to abandon the rest of the season. I went for a short walk, weighing the pros and cons. I decided there was no advantage in quitting at that moment—I could use the PE training either way, so I should at least complete that part of the workout. I went on to have my best PE session ever, sending the first three sets of my 52-move circuit with 2:30 rest between sets (roughly a 1:1 duty cycle). That was enough to re-kindle my psych. I decided I should go out for at least one more weekend. The first day of that trip I finally exceeded my Fall 2015 high point, and on the next climbing day I got my first one-hang, falling at the Crimp Crux. I matched this new highpoint on the next go. That day the rock was completely dry for the first time that season, which certainly helped, but the biggest factor was that my endurance was significantly better. Overall my May/June PE training went better than expected. During my last PE workout of the season I sent the first three laps of my 52-move circuit with only 2:00 rest-between-sets. I was certain my experiments and efforts over the winter had paid off, and my endurance had reached a new level—sufficient to send the route. Unfortunately I learned that PE alone was not enough. Although I managed to one-hang the route four more times, I found myself falling more and more often on a powerful dyno in the lower third of the climb. My endurance was at an all-time best, but my Power Peak was long gone. By mid-June it seemed I was stagnating (if not regressing) on the route. The forecast predicted a steady 10-15 degree temperate hike, so I decided to end my season. I never fell on this powerful dyno in the first half of the May/June 2016 season, but by mid-June I was falling on it regularly—a clear sign of waning power. Photo Mike Anderson. I was disappointed that I didn’t send, and I still wonder if I made the right call, throwing in the towel when I was arguably quite close. It’s hard to know and easy to second guess. To be fair, I think a younger, less-determined me would have retreated much earlier, prior to achieving the 1-hang that re-kindled my motivation. Had I quit during that workout at the end of May, I might have never come back to the route. In retrospect, I think preparing myself for some adversity prior to the start of the season allowed me to persevere long enough to squeeze out every last drop of adversity that frustrating canyon has to offer. When I returned in September 2016 it had nothing left to give me–I had already taken all of Rifle’s best shots. Furthermore, the consistent one-hangs I earned in June were crucial to motivating my training over the summer. I had learned how to develop the necessary endurance to link the route. I had learned that I was capable of sending, even in sub-optimal conditions. I just needed to better time my power and fitness so the two converged simultaneously. Orchestrating that would be the focus of the long hot summer. 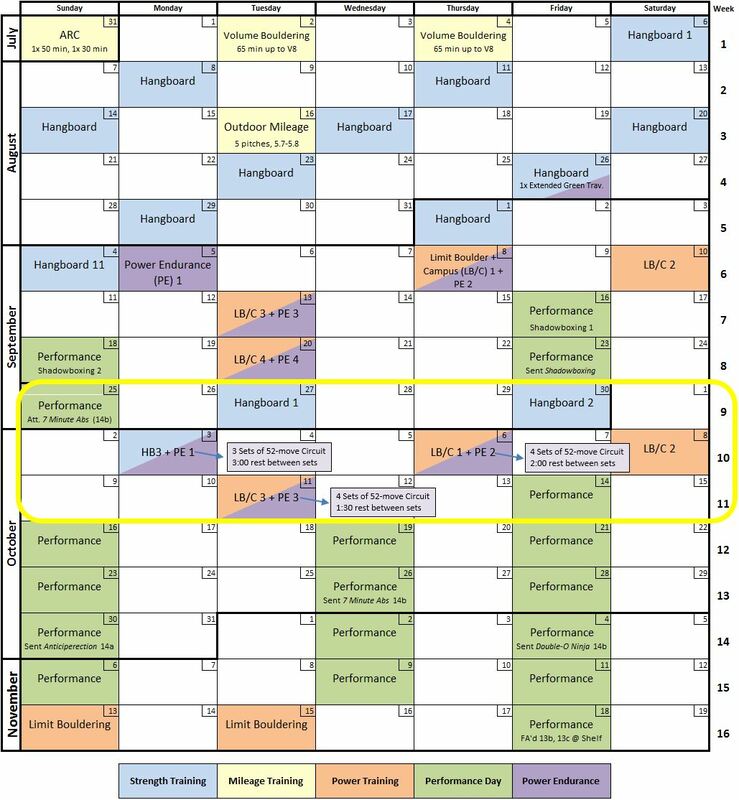 Performance-oriented climbers often ask me what to do with their time when facing a month or more of unsuitable outdoor climbing conditions. 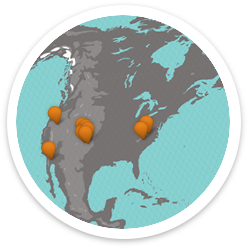 A good example is the climber who lives in the northeastern US and can’t climb through the dead of winter due to snowpack or extreme cold. On the other end of the spectrum, the summer heat stymies many in the southern part of the continent. My standard disclaimer is that it’s personal: it really depends on your near-term and long-term goals, and your current level of motivation. If you’re psyched to train, you really want to eke every last bit of performance out of your body, and you’re willing to sacrifice other aspects of your life to do so, then the best bet is to complete a Bridge Cycle. 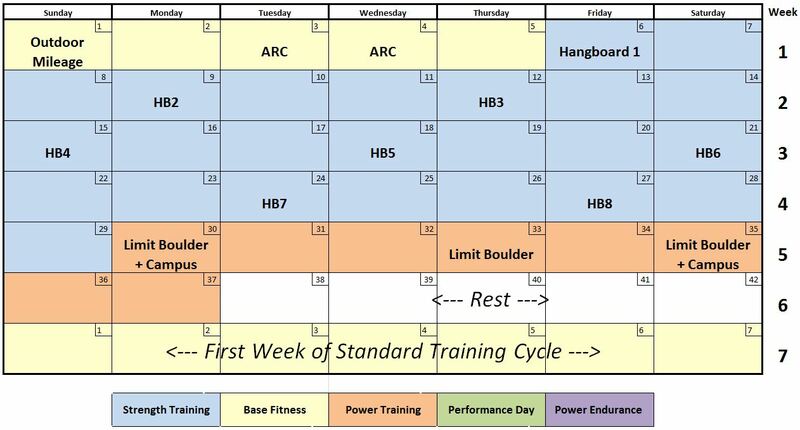 This is a truncated version of a typical Rock Prodigy training cycle, tailored to span the gap between full-blown training cycles. A Bridge Cycle could be as short as a month, or as long as several months. 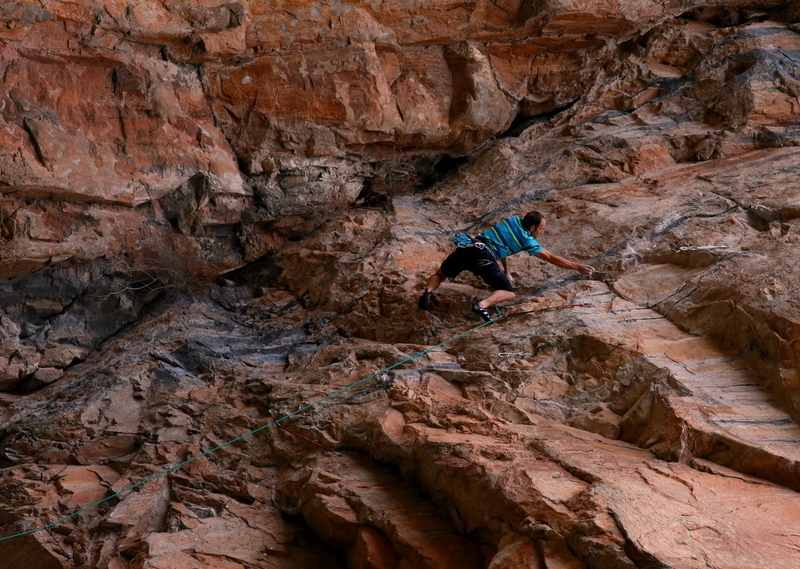 The distinctive element is that it essentially skips the Performance Phase, or at least minimizes its importance to the extent that any outdoor climbing is an afterthought, rather than the primary focus of the cycle. For example, let’s say it’s June and you have a big project looming for the fall. You’ve determined that in order to peak during optimal sending conditions in early November, you should begin your full fall cycle in mid-August. But what to do in the mean time? Over the summer of 2011 I trained as usual and focused on working Grand Ol’ Opry, located in a relatively cool, shady alcove at nearly 8000-feet. If you’re like me, you might benefit the most from a break from climbing. I like to climb in cold weather, and it’s generally “too hot” for my taste in the summer. My strategy for bridging between the spring and fall seasons varies from year to year. Some years I select a relatively cool goal route, go all out as usual to train for it, and then “suffer” through the sub-optimal redpoint conditions. Some years I stop climbing completely, ride my bike instead, and focus on family and house projects. I find a long layoff helps stoke the flames of motivation for my next training cycle. Of course, I have a lot of miles under my belt, and even after an extended break I seem to be able to pick up right where I left off—physically, technically and mentally (after completing a full training cycle). 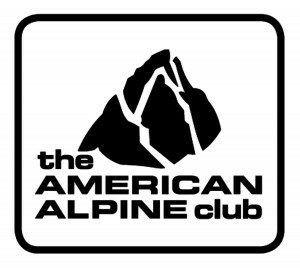 Other climbers find an extended layoff makes them “rusty”, and the sabbatical negatively impacts their next full season. This year I’m using a combination of several approaches. I began with a full bore spring season, which included working and sending several hard projects. Rather than ending the season when my peak ended (around the end of May), I’m continuing to climb easier and easier objectives as my fitness fades. I also started riding my bike and began some serious house projects around the 1st of June. 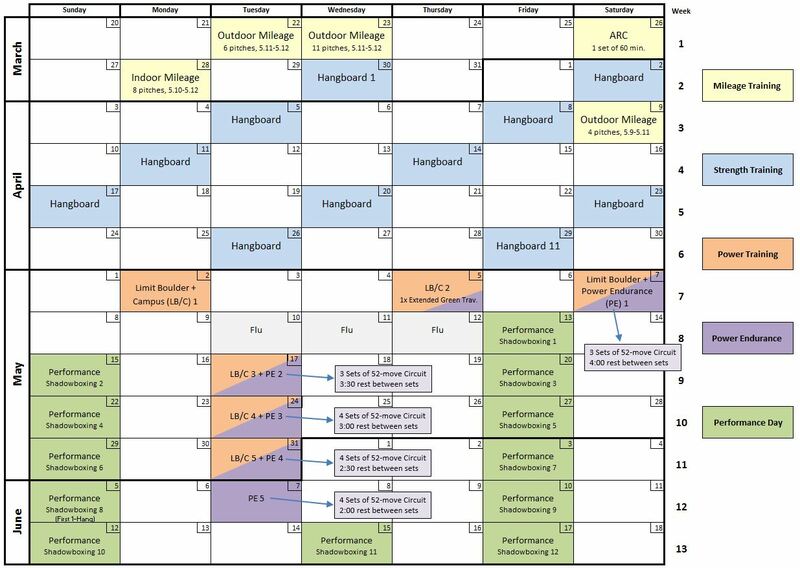 I will stop climbing in the middle of July, for a full two weeks of straight rest, and then resume training around August 1st for my fall season. For me, summer is a great time for developing new routes like The Smear Hunter, 5.13c, at The Bunker. During prime seasons I’m very focused on my projects and refrain from anything that interferes, like the often strenuous work of searching for, cleaning and bolting new routes. During summers like this one, my goals are modest enough that I can afford to divert more energy towards route development. There are many situations where an extended break doesn’t make sense and you would be better off with some form of training. 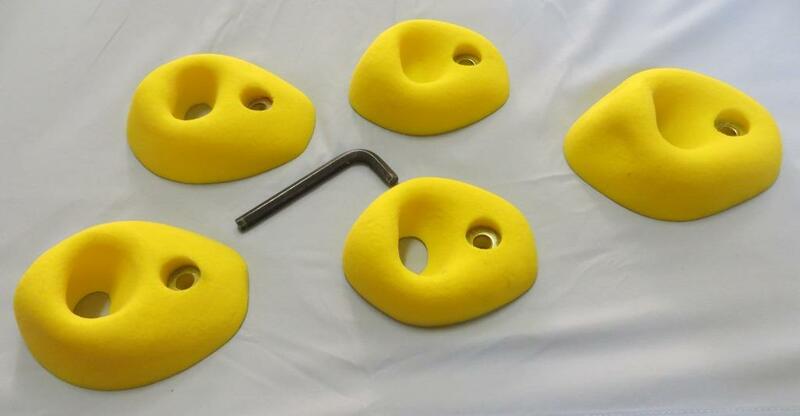 Perhaps you are new to climbing and should keep your nose to the grindstone. Perhaps experience shows you’re best off maintaining momentum from one season to the next. Perhaps you are just plain psyched on training, there’s nothing you would rather do, and you can’t stand the thought of wasting an opportunity to get better. 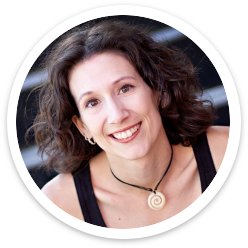 How you spend the training phases will depend on your goals, strengths, and weaknesses. If you have any glaring weaknesses, they should be your first priority. A bridge cycle provides a fantastic opportunity to focus completely on addressing weaknesses because you have no specific near-term goal that demands attention. 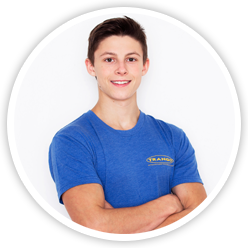 For example, if you find you struggle with a particular type of move—say, pulling the lip of a roof—you can spend this time training the physical, technical and mental aspects of these moves, including seeking out sub-limit routes to practice on. When I’m super fit I’m reluctant to visit unknown crags for fear of “wasting” a precious day of peak fitness. 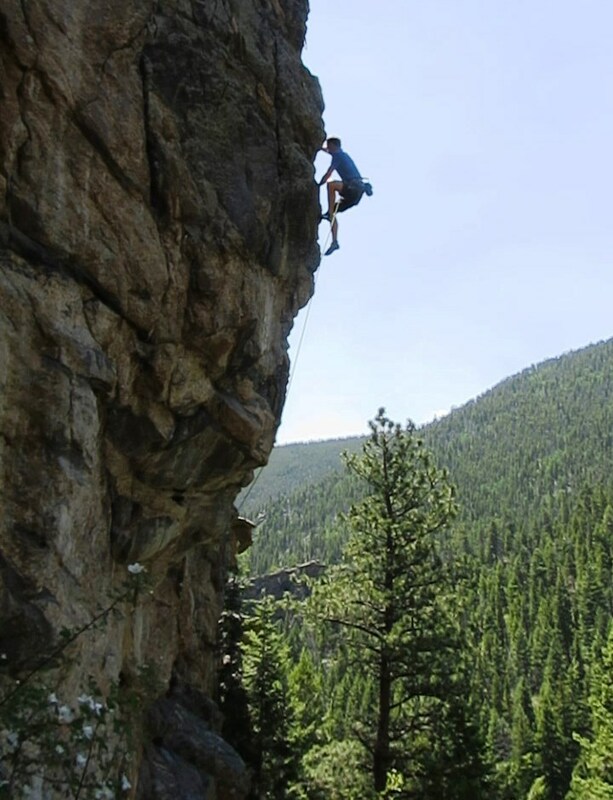 On the other hand, laid-back summer seasons allow me to explore new areas like Dumont, CO’s “Mill Creek Crag” where I made the First Free Ascent of the scenic Lou Reed, 5.13b. Next consider the relative importance of any short and long term goals. Going back to the original example, let’s say your fall goal route is long and pumpy, but the individual moves are well within your ability. You may want to design your bridge cycle to improve your redpoint endurance, and so emphasize Base Fitness and Power Endurance training. Perhaps your fall goal route is short and bouldery, in which case emphasizing Strength and Power is the way to go. For many, the near-term goal route is less significant than the desire for long term improvement. 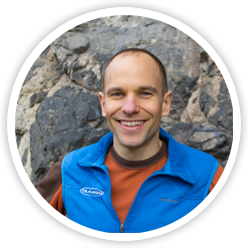 This could be because you haven’t identified a fall goal route yet, you have many goals for the fall that span the gamut of climbing styles (so focusing on one climbing style takes a backseat to general improvement), or maybe you’re “all-in” on the Time Value of Climbing Ability. If any of these apply to you, and you have no glaring weaknesses (dare to dream), I recommend focusing on Strength and Power, since these are the most difficult to attain and will benefit every aspect of your climbing. An example of a Bridge Cycle emphasizing Strength and Power is shown below. 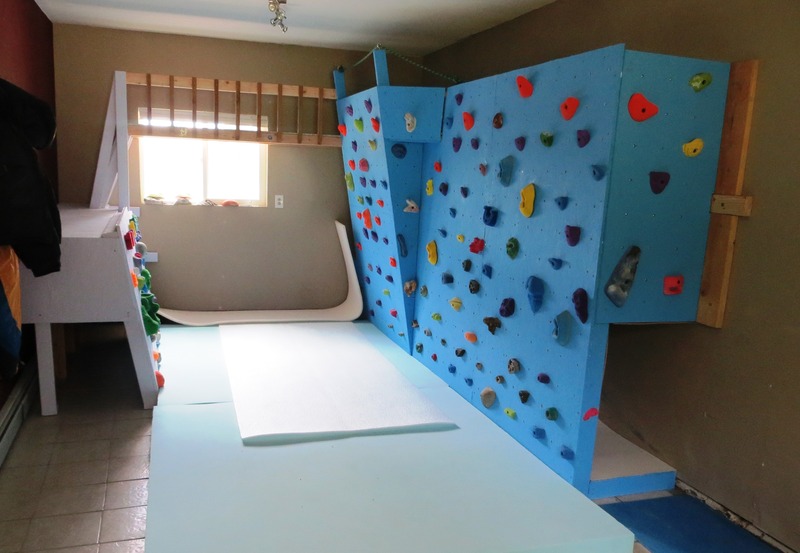 It includes a few Base Fitness workouts to get you ready for hangboard training, a relatively full Strength Phase, and a brief Power Phase so you can realize a short payoff from your training (in the form of a few sessions of Limit Bouldering–these can be done indoors or out). It clearly favors strength over power for a number of reasons (it’s more basic, more universal, more cumulative and easier to train, to name a few). If you have more time to work with, expand the Strength Phase, then Power Phase, then Base Fitness Phase accordingly. 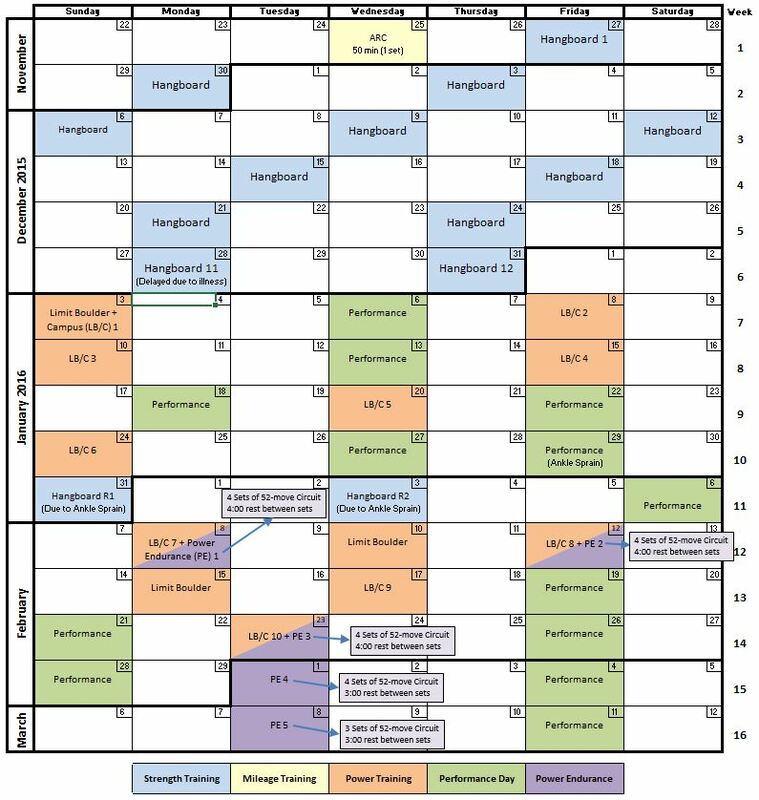 For most the PE Phase would be the last priority since there is no Performance Phase planned. Skip Performance Phase for Winter Season? 2, 3 or 4 Seasons Per Year? Finally, if you do find yourself training in the mid-summer heat, you might benefit from some of these tips. Good luck and happy training–fall is just around the corner! The holidays are upon us, and you don’t want to end up with a pile of socks and ties again. Chances are somebody is nagging you for a wish list, but you’re too focused on training to put one together. 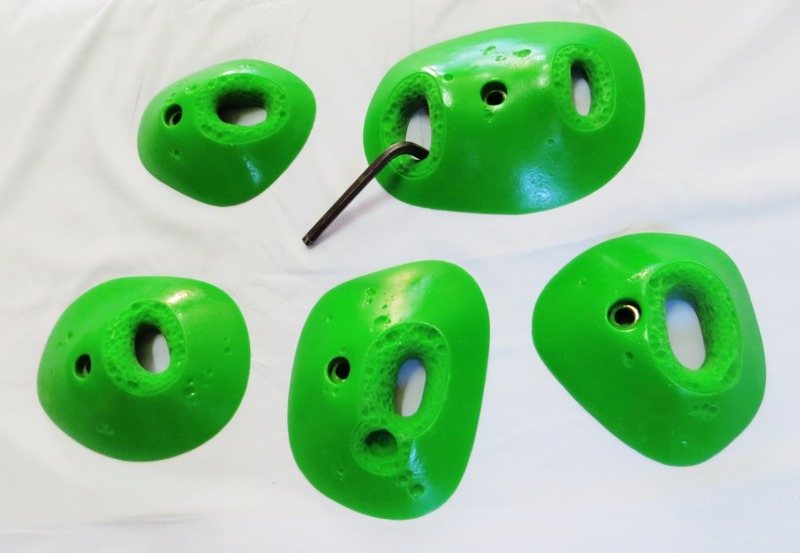 Fear not Rock Prodigies, we have assembled the perfect list of stocking stuffers to help take your climbing to the next level. Just forward this URL to Santa and let the elves in his extensive IT department do the rest. In other news, I’ve uploaded the highly anticipated 2015 Training Calendar to the tools page. This is a Microsoft Excel spreadsheet that you can edit to plan and track your training in 2015. Download it for free here. Protein Bar(s) – For post-workout consumption. We all have our favorite brands and flavors, but it never hurts to try something new from time to time. 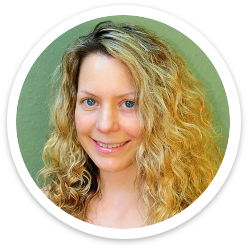 Some of my favorites are the Chocolate Mint flavored Clif Builder’s Bar, any of the chocolate-based Pure Protein Bars (available at Costco and Walmart), and the Caramel Nut Blast flavored Balance Bars. Mechanical Pencil(s) or Pen(s) – You’re not really training unless you’re writing down what you’re doing. For that you need a writing implement. I like the ability to erase what I’ve written, YMMV. 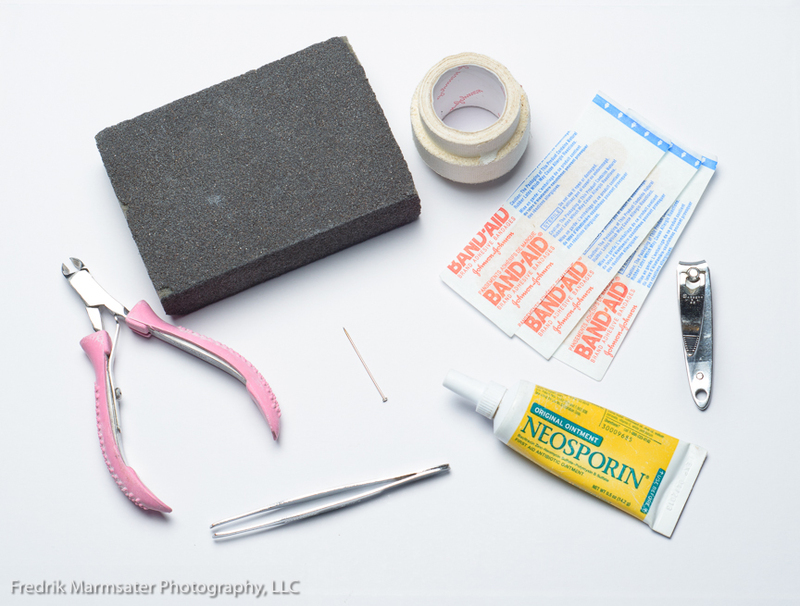 Sanding block, cuticle cutters, athletic tape and nail clippers are all must have items. Photo Frederik Marmsater. Sanding Block – Keeping your skin tough and smooth will help prevent skin issues that can derail your training AND sending. Daily use of a sanding block is the best way to do that. Get something in the Medium to Fine grit range (100-200 grit). Climbing Salve – If you’re one of those lucky honemasters with leather-like hands that are constantly cracking, ask Santa for some Joshua Tree Climbing Salve. Athletic Tape – Let’s face it, it’s just a matter of time before you need this. Ideally you’ll only need it to protect your skin from flappers, but it’s always good to have on hand during training in case you feel a connective tissue tweak. Nail Clippers – If not for you, do it for the rest of your crew. Nobody wants to hear that fingers-on-a-chalkboard sound every time you slap for a hold in the gym. These things wear out over time, so even if you have a few it might be time to upgrade. Music Download Credit(s) – You can never have too many sic beats to get you psyched up to train. Make sure Santa knows what type of device you’re using. 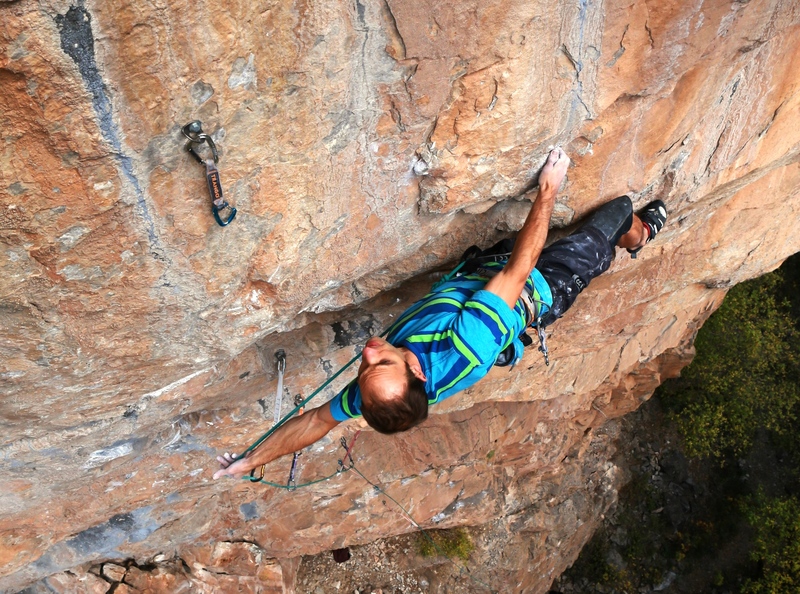 Duck Tape – Those with a home climbing wall are always in need of fresh patterns to mark their web of boulder problems. Duck Tape brand duct tape is constantly coming out with new patterns to keep your lines distinct. These are available in the paint section of most hardware stores (often in the same aisle as the sanding blocks), or in the party section of Target, etc. Wrench – Along the same lines, if you have a home wall, you can never have too many 7/32” and 5/16” Allen Wrenches. Get the clever Multi-Wrench from Metolius and you’ll never have to worry about grabbing the wrong size. 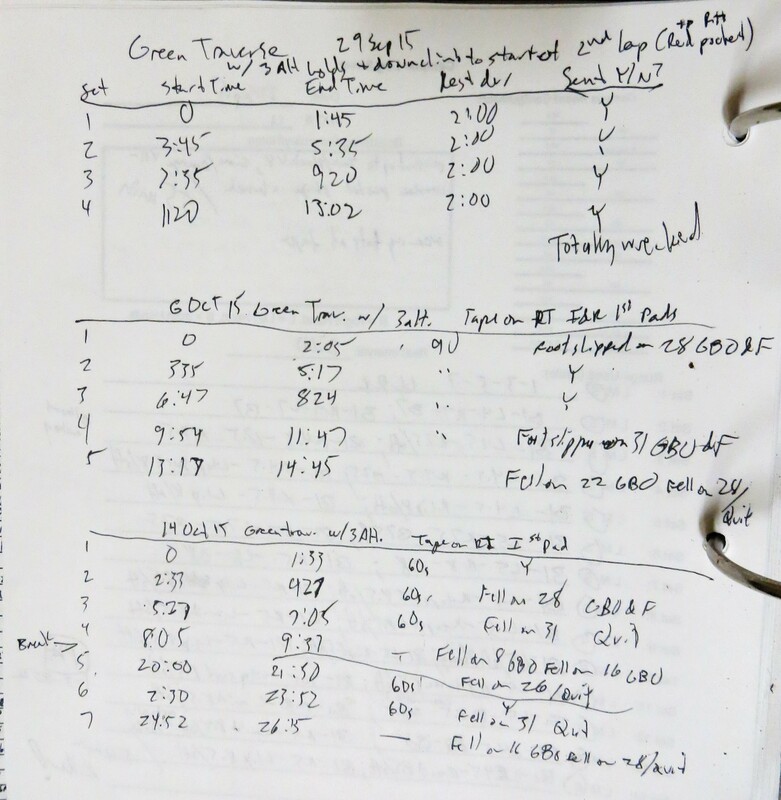 RCTM Logbook – You can never have too many of these! Stopwatch – Whether timing dead hangs or rest periods between redpoint burns, we all need some kind of stopwatch. There are a lot of options here that come down to personal prefernce, but for indoor training, a timer with a big display like this one can be really useful. Brush – Essential for cleaning the playing surface—be it your precious hangboard grips, or the crux crimper on your long term goal route. But don’t rely on whatever manky, plaque-coated, blown out scrubber you find lying in the back of your bathroom drawer, ask Santa for the Lapis Boar’s Hair Brush, the Holy Grail of brushes, coveted by pebble-wrestlers around the world. Shipping is a killer on these guys so it’s best to buy a few at a time, or see if your local climbing gym carries them. Chalk – This is another consumable that always seems to run out at the worst time. With a seemingly infinite shelf-life, you can never have too much. If you’ve never experienced the pure joy of chalk in a bottle, now is the time! Placebos – Getting sick can completely derail your training cycle. Fortunately placebos are proven to work (as long as you believe in them). So keep the faith and ask Santa for some Airborne or Emergen-C. My PhD friend Chris prefers the Airborne tablets because they pop and fizz like crazy, providing a more convincing placebo effect. I’ve consumed literally hundreds of these and I can attest that Tropical Emergenc-C is the best-tasting flavor. Cuticle Cutters – These are a must have for the Very Serious Climber. Use these to carefully trim away budding flappers (as described on pages 171-2 of the RCTM). Like nail clippers, its critical to have a sharp pair, so if yours are more than a few years old, it’s probably time to re-load. The Revlon 1/4 Jaw Nippers are wicked sharp, but there are other good options too. Usually you can find these in the beauty section of your drug or grocery store if you don’t want to pay for shipping. 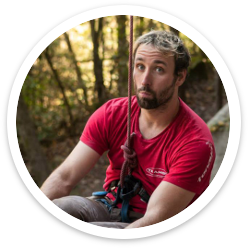 Thermometer – OCD training fiends will want to document and track the environmental conditions of training sessions, and perhaps even the ideal sending conditions of your outdoor proj. You can keep it simple (and cheap) with something like this, or for only a few bucks more take it completely over the top with AcuRite’s Digital Humidity and Temperature Monitor. 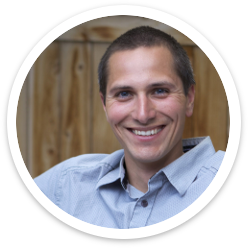 Thera-Band – An ounce of prevention is worth a pound of cure, and so these stretchy rubber bands provide a lot of value for not a lot of money. These can be used for warming up, rehabbing ailing joints, or training antagonists. Mini-Tripod – “Hey, you guys wanna see my video?” – Uncle Rico A collapsible mini-tripod will allow you to film your project sessions and break down your sequence and effort like the pros do. Smaller/lighter tripods are more likely to actually make it to the crag, so no need to mortgage the house on a super elaborate rig. 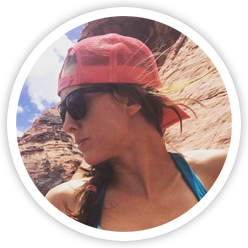 Trango Trucker Hat – Anything worth doing is worth doing well. Even more important is looking dope as hell while doing it! Channel your inner Teenage Mutant Ninja Gym Boulderer with this fly lid from our stylin friendz at Trango. 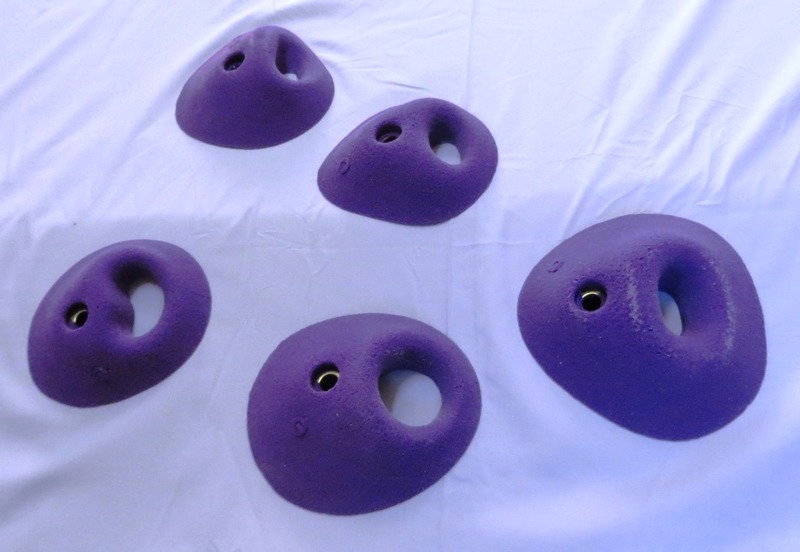 Holds – It’s nice to have options, and climbers with a home wall know you can never have too many holds. Most hold sets are too big (and costly) to qualify as stocking stuffers, but discerning shoppers can find small sets of screw on foot jibs for right around $20. If you’ve got any other great stocking stuffer ideas, please share in a comment below. Happy Holidays! During a brief spell of temporary insanity last spring Kate and I foolishly booked a three-week trip to Germany. As our departure date approaches (now just four weeks away! ), we are becoming increasingly terrified of the prospect of spending 12 hours on an airplane with our two lovely children. Lord have mercy on the rest of the passengers! 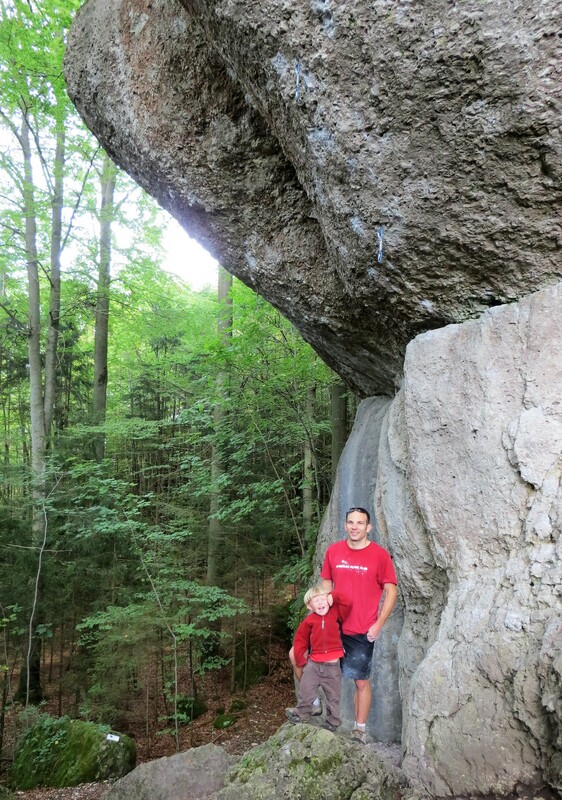 Germany is home to the Frankenjura, among the most infamous crags on the planet, and home to more than 10,000 routes! My interest in the Frankenjura should be apparent to anyone who has read our book or followed our blog. I like hard routes, I like pockets, and I like history. The Frankenjura is known for all three. Hard pocket routes are not all that hard to come by — the history is what sets the Frankenjura apart. 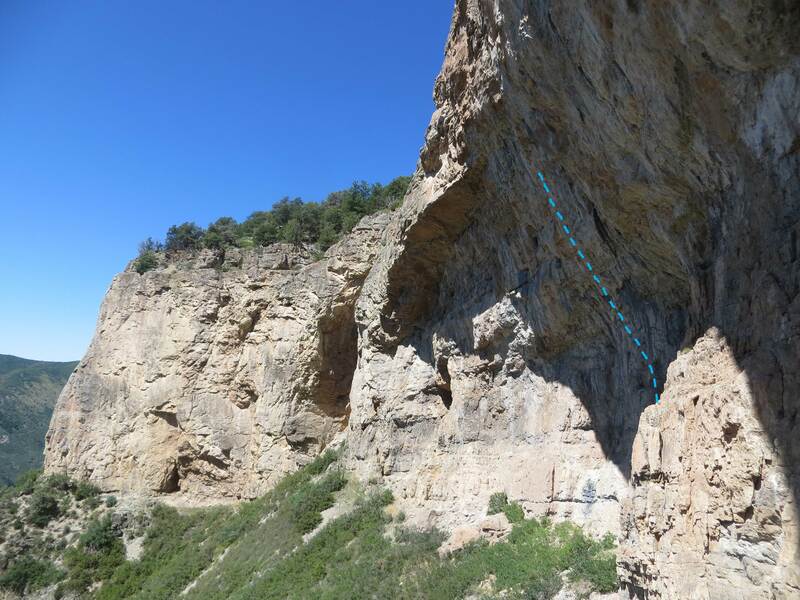 From a sport climbing perspective, it is likely THE most historically significant crag on the planet. First off, the Frankenjura is the birthplace of the “redpoint” (or really “rotpunkt” in German). 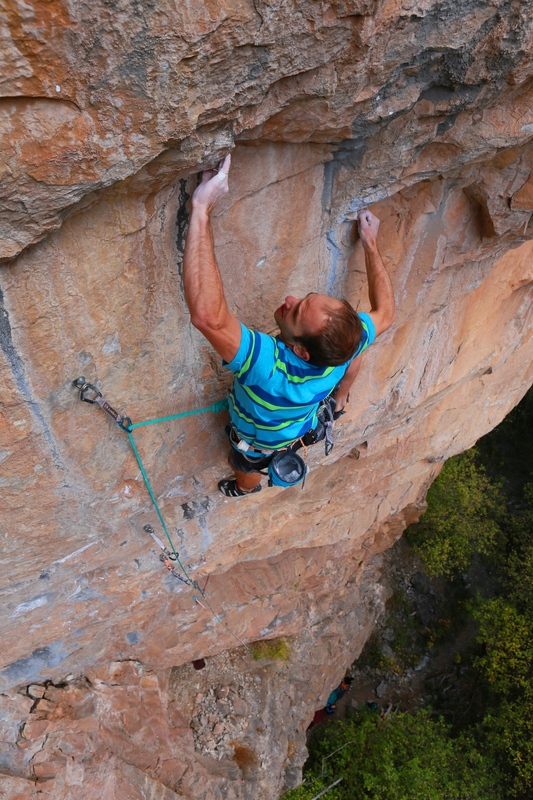 The visionary free climber Kurt Albert authored countless classic climbs throughout the region, and in the mid-1970’s, in order to indicate which sections of cliff had been climbed, he began painting a red circle at the base of routes whose moves had all been freed. Once the route had been led free from the ground, with no falls or hangs, he would fill in the circle to create a red dot. And so the redpoint was born. 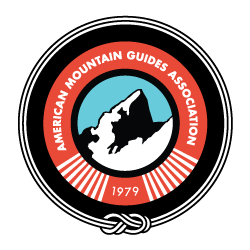 Some believe that this simple act marked the conception of sport climbing itself. For those who keep track of important “firsts”, the Frankenjura is unmatched. It’s home to the first 5.13d in the world (Kanal im Rucken, UIAA10 or French 8b), the first 5.14b in the world (Wallstreet, UIAA 11- or F8c) and the first 5.14d in the world (Action Directe, UIAA11 or F9a). [Of course, these were all established by the same legend and hero to pretty much everyone (including Sylvester Stallone), the unparalleled Wolfgang Gullich.] 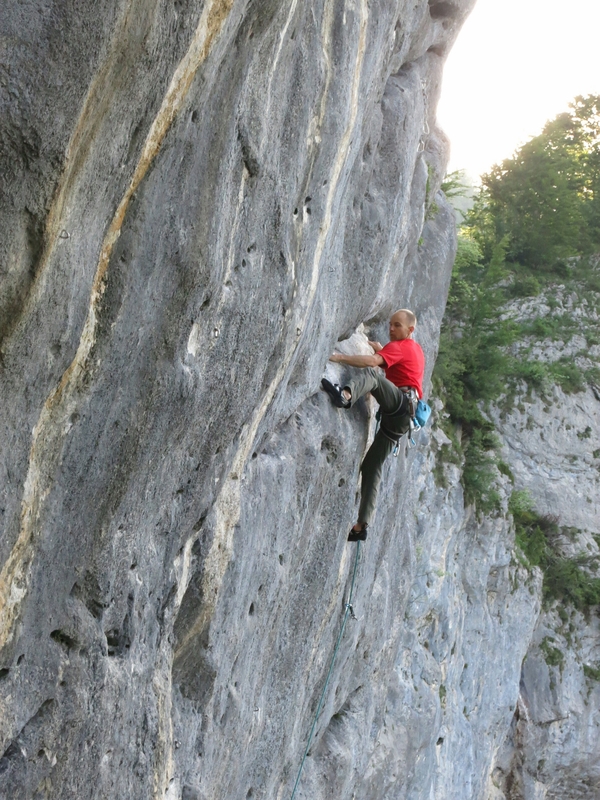 In addition to these landmark climbs, the Frankenjura is home to countless other historically significant climbs like Albert’s Sautanz (5.12c), John Bachar’s Chasin’ the Train (5.12d) and Jerry Moffatt’s Ekel (~5.13a) and The Face (~5.13c). More than 20 years after his death, Gullich continues to inspire countless climbers, myself included. For me personally, the ultimate reason to visit is to walk in the footsteps of (or perhaps it would be more appropriate to write “stab my fingers into the pockets of”) Wolfgang Gullich. Has any other climber had a greater impact on the sport of free climbing than Gullich? Without question he has inspired entire generations of climbers. Consider that more than 20 years later Action Directe is STILL a cutting edge, rarely repeated testpiece. 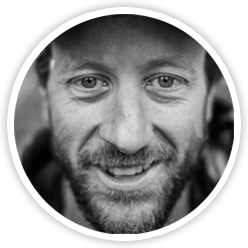 Besides being the best redpoint climber of his generation, Gullich made tremendous contributions to the community through his interest in training. 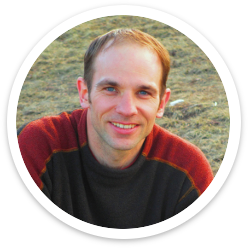 He developed groundbreaking new training techinques, participated in many climbing training studies, and authored a great deal of literature on the subject (especially the groundbreaking Sportklettern Heute in 1986). I would wager that every single climbing training book authored since his death pays tribute to Gullich. That can’t be said of any other climber. Usually when I travel overseas I take it relatively easy, only attempting routes I have a shot to onsight, trying to visit as many crags as possible. For this trip I hope to do some projecting, because that was Gullich’s approach. He wasn’t much interested in onsighting. He wanted to do the hardest moves imagineable. For that reason, I really want to be at my best during our trip. I started my training cycle a couple of weeks ago with the hopes of creating a power peak at the end of September. To that end, my friends at e-Grips hooked me up with a great assortment of pockets to help whip me into shape. [Little did you realize that all that rambling about my hopes and dreams was just a clever introduction to this product review, haha!] I’m still in my Strength Phase, so I’m pretty much only training on the RPTC, but these new holds are getting me really excited for my Power Phase. I can’t wait to get some chalk on these babies! Many manufacturers seem to be shying away from pocket shapes these days, but e-Grips is still turning out the best on the market. The “easiest” set I received is the Pure Power Pockets I. These are on average the deepest and most-incut set, and the best of them will swallow most of your finger. One of the holds in this set can accept three small fingers, but the rest are all two-finger pockets. These are pretty much one-directional, and ideal for big moves on steeper walls. 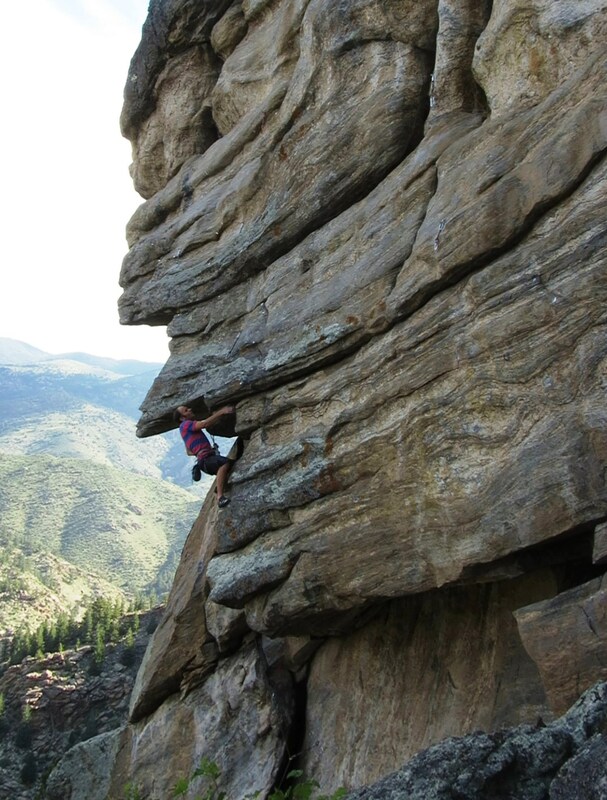 My preference is definitely for thinner pockets on less-steep walls, and when I have to make big, precise moves to deeper pockets I tend to struggle. I’m certain I will come across many such moves on my trip, so I’m really excited to set some reachy problems with these guys on my 33-degree wall and start attacking that weakness. Some of the “Pure Power Pockets I” are quite deep and incut, like this one. The next most-challenging set I received is the Pure Pockets. The set includes two 3-finger pockets and three 2-finger pockets. They vary from 1-2 pads deep, but they’re generally shallower than the set described above. Four of these are incut when the bolt hole is oriented toward the ground (the fifth hold, a 1-pad 3-finger pocket, is neutral). All of these can be flipped to make challenging neutral to sloping pockets, great for vert-ish walls. The shallowest 2-finger pocket in the set is basically neutral but has a nice little lip on it that I really like because it allows you to use it on a much steeper wall than you otherwise would‎. I really dig this set. The shapes are super smooth and the pockets are essentiall “straight in”, minimizing the risk of collateral ligament tweaks. Moving between them is relatively straightforward (unlike more intricate pockets that require you to carefully thread your fingers into place). This allows for “just plain hard” problems with big moves and dynamic latches. I expect these to be quite challenging on my 33-degree wall. I’m most excited about the last pocket set in the bunch. I’ve enjoyed e-Grips’ 2Tex Pure Crimps for many years (literally among my five favorite sets of all time). The slippery surface prevents pinching or otherwise “cheating” which allows you to set super-realistic problems. 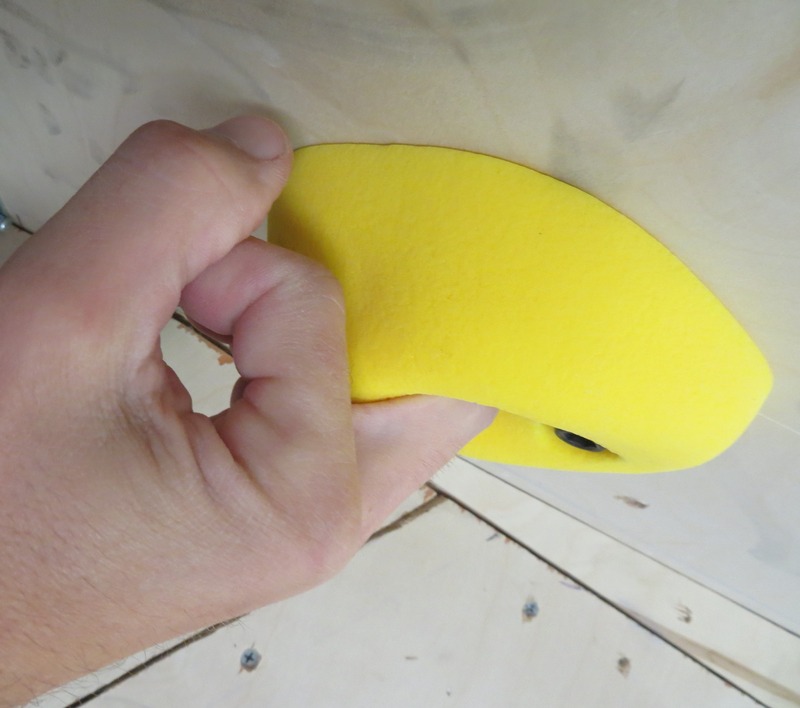 When you set the edges as sidepulls or underclings you can essentially create a route or problem with little or no footholds — which is absolutely critical when setting difficult problems on near-vertical walls. It’s really tough to set a pocket problem that requires challenging footwork, because pocket shapes tend to leave an enormous footprint that can easily be smeared or edged. Enter the 2Tex Pockets…. These pockets have good texture inside the pocket, and a nice slick surface everywhere else. The set includes one fairly incut mono (that can be used as a two-finger stack), a 2-finger pocket with a third finger divot that is marginally useful, and three 2-finger pockets (although really, they could all be oriented sideways for monos). They each offer a larger/more positive pocket when set with the bolt hole towards the ground, or you can flip them over for a really sinsister, shallow and neutral pocket. For this reason, these are probably the most versatile of the three sets. Right-side up, they vary in depth from 1.5-2 pads deep, and they’re all incut (but they’re the least positive of the three sets described here). When oriented upside down, they’re basically 1-pad deep and neutral to sloping, perfect for vert to slightly overhanging terrain. The set includes a cool double pocket that can be used as a pinch or for matching moves. Note, this is not an exhaustive examination of e-Grips pockets. Here are my thoughts on some other great pocket sets (like the killer Limestone Pockets). 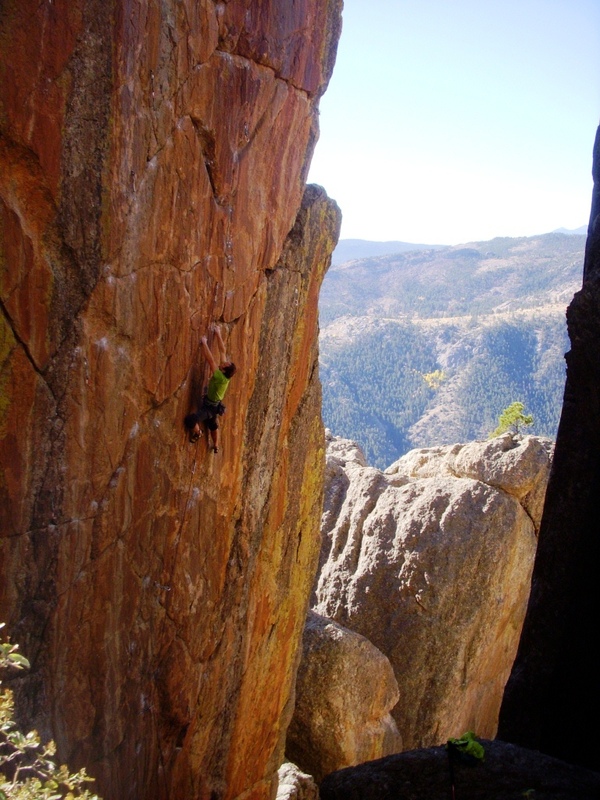 In 2011, Denver climbing activist, king of psyche and all-around great guy Luke Childers bolted a stunning arête at The Armory, a compact crag at the top of Clear Creek Canyon. 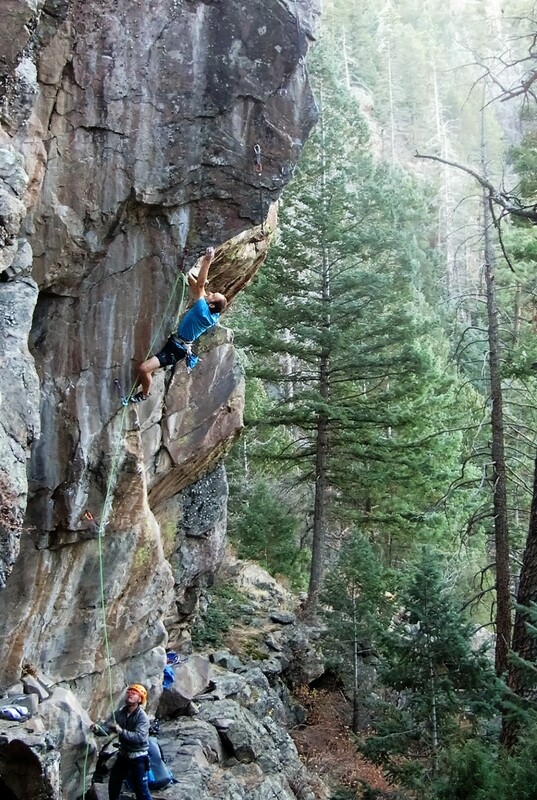 Clear Creek is quickly becoming the epicenter of sport climbing on the Colorado Front Range, largely thanks to guys like Luke who have a knack for finding great new lines on supposedly tapped out cliffs. After finishing off American Mustang at the end of March, I had a few more climbing days to spare before beginning my summer training cycle. 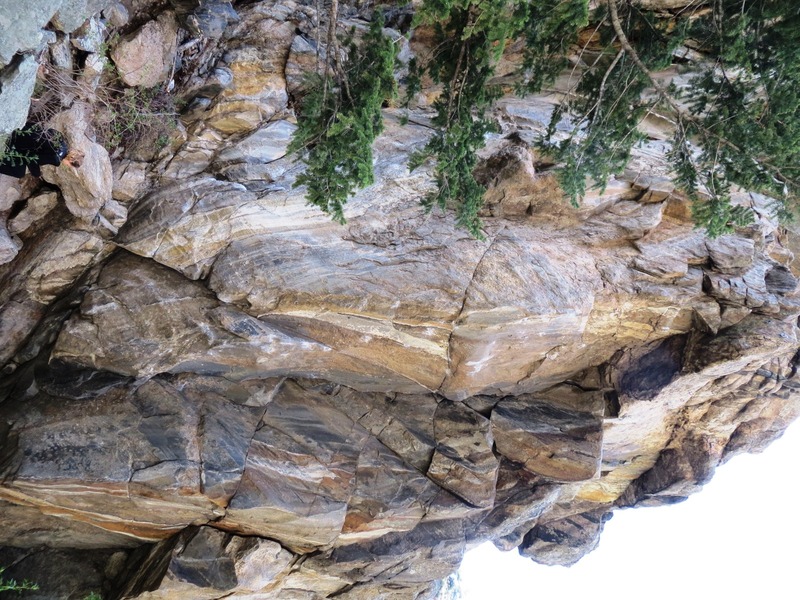 I was really psyched to check out Luke’s Armory arête, which looked to me like the best unclimbed line in Clear Creek . I was stoked when Luke generously encouraged me to have at it. Luke’s project at The Armory. The start of Ken T’ank is visible to the left of the wide white streak. The line overhangs in both planes, creating a steep prow that juts out towards the raging river. 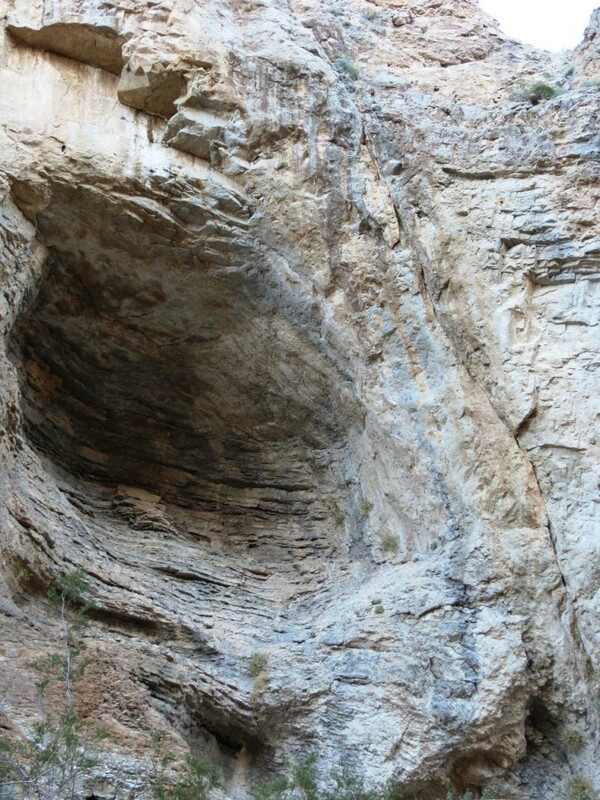 Its located immediately right of the ultra-classic Ken T’ank, sharing the same flawless rock that makes Ken T’ank among the top three 5.12’s in the canyon. The route begins by traversing along an undercling flake to gain the business on the arête proper (Jason Baker created the “Fully Automatic” linkup in 2012 by starting up this flake and finishing up the 5.11 “Semie-Automatic” dihedral to the right of the arête) . This view of the arête from the right gives an idea of its steepness. 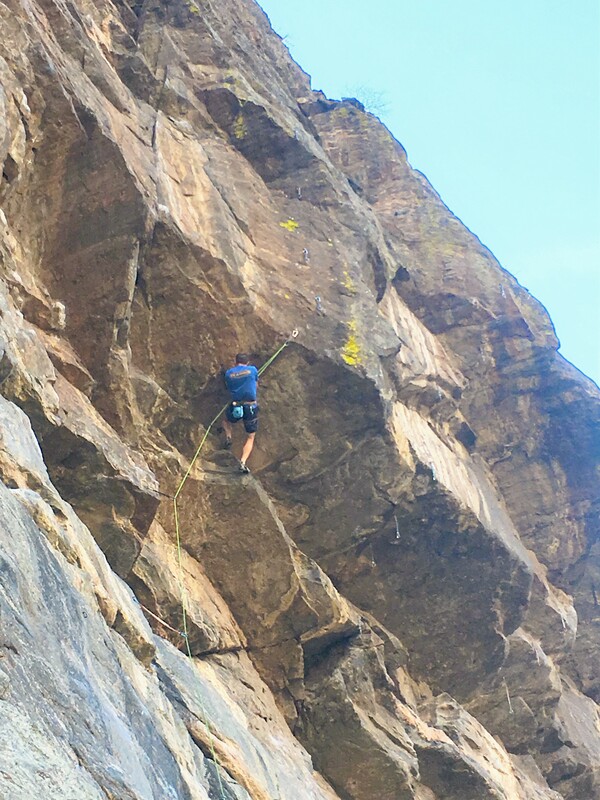 My friend Adam Sanders was psyched to check out some potential goal-routes at the nearby Primo Wall, so we headed out one fine Sunday afternoon at the end of March to check things out. On my first attempt I was completely shut down by the perplexing “12d” start. The climbing here requires an unusual combination of burl and finesse. You need to undercling along the flake, while pasting your feet on a featureless, water-polished, overhanging skirt of rock that slopes away in the wrong direction. The burly and perplexing start. Photo Mike Anderson. However, the upper arête was outstanding! 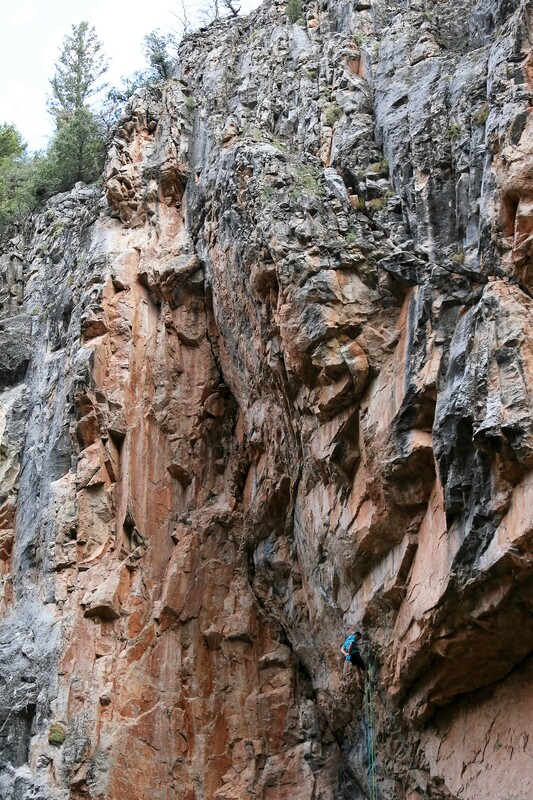 The climbing was technical, sequential, crimpy and dynamic, everything I enjoy in a route. I consider myself an arête connoisseur, having “grown up” at the arête capital of North America (if not the world? 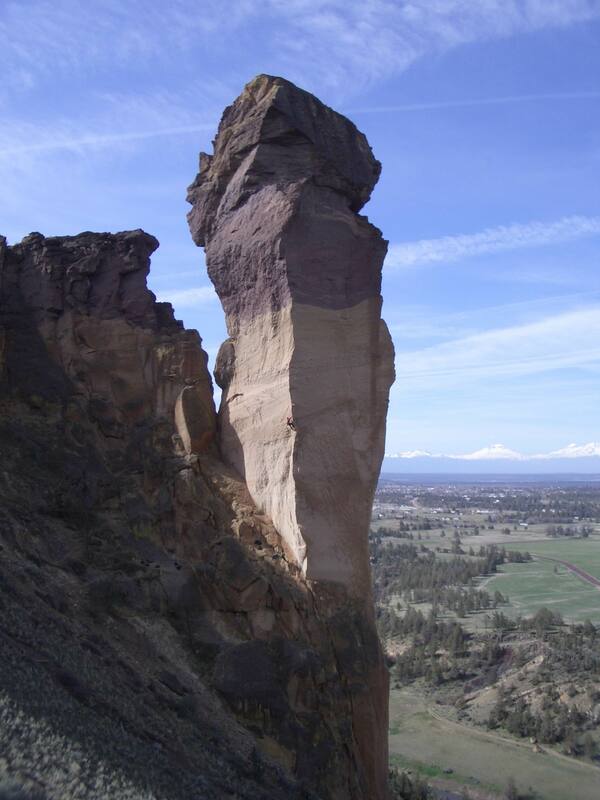 ), Smith Rock. The crux features some ultra-classic arête climbing, utilizing both sides of the arête, hooking, flagging and slaps. I was able to suss a sequence pretty quickly, but I could tell it was low-percentage, with a big, desparate huck capping off several strenuous moves. That’s my Achilles Heel, and I figured it would probably take some time to put together. 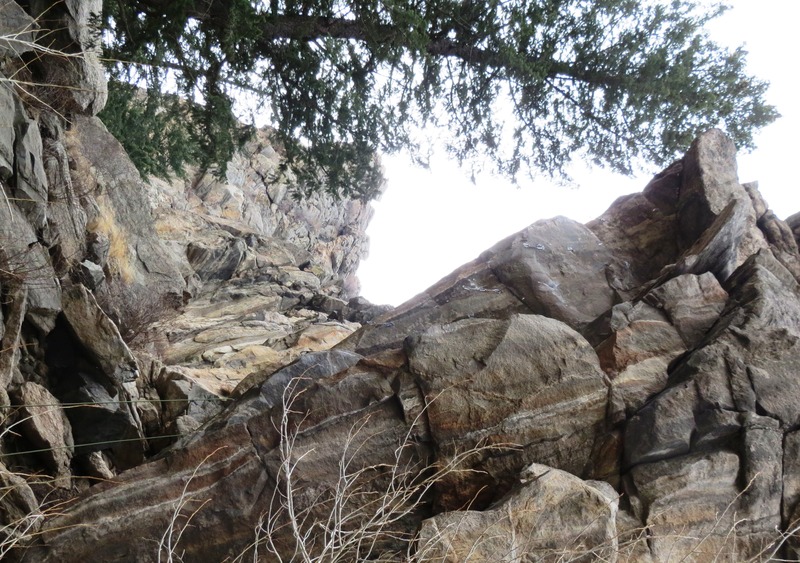 Above the crux dyno, another balancy boulder problem leads to a good shake about 10-feet below the summit. The final boulder climbs a series of insecure slopers, but is not too bad once you figure out the right sequence. After my turn at the belay, I went back to solve the starting puzzle. It can be pretty demoralizing to struggle with a section you expect to come easily, especially when you know even-harder climbing is looming above. Eventually I figured out the right body English to link this stretch, and after a few days it almost started to feel easy, but the footholds are all precarious and tenuous, and I continued to pop off this section at random, frustrating times throughout the campaign. With all the individual sections worked out, it was time to start linking. On the third day I sent to the crux throw for the first time. I was stoked—now I knew I could send this thing! This move is done with your left hand on a 1-pad deep, incut edge, and the span your right hand makes is about the same as doing 1-5 on the campus board. I spent some time rehearsing the setup and the dyno until I had all the subtleties worked out. As I set off for my standard run to the chains at the end of the burn, I placed my foot on the left hand incut edge and disaster struck—I broke the hold, the key hold of the route. The crux throw. My left hand is on the critical hold. On my way back down I inspected the damage. There was still an edge there, but now it was only half-pad deep and sloping. There was still enough to use, but I would no longer be able to pull out on the hold. My original sequence wouldn’t work; I would have to work out an alternative. After evaluating my options, I came up with a viable sequence. With my new beta the dyno was actually not any harder, but the downside was that now the setup was much more difficult. Still, I could do the moves, so I had every reason to believe it would go…eventually. As fate would have it, the next day was April 3rd—the day the Rock Climber’s Training Manual arrived in Denver. I spent 10 hours that day moving pallets, loading twenty 45-lb boxes into and out of my car, signing books, stuffing and labeling packages. I was pretty well destroyed. I don’t know how climbers with physical jobs manage. I tried the route again the next day, but I was worked and my performance felt flat. By the weekend I had all the pre-orders in the mail, so I could take a solid rest day before one final day on the route. I have a goal for the summer season that is extremely important to me, so I figured I needed to end my spring season by the end of the first weekend of April in order to be in shape at the right time for my summer project. I gave the arête two more solid attempts, but each time I fell on the setup move. I had now fallen there four straight goes. I decided to wrap up my spring season and start training for summer. That’s not an easy thing to do. When you feel victory is close you want to keep going. Its common for me to think I’m closer to success than I actually am, and I’m often tempted to just keeping flogging my project until the stars align. I’m sure had I done that, I would have sent the route at some point in April. However, I figured even once I stuck the setup move, I would probably fall on the dyno itself a few times as well, so I probably wasn’t really all that close to sending, and I was not willing to sacrifice the next season’s goals for a near-term mirage. Plus, I figured if I quit now and compressed my training schedule slightly, I could get a few days on this route before the conditions were right for my primary summer goal…. After six agonizing weeks, I was finally back at The Armory. The weather had changed dramatically—snow was falling during my final attempt in April, but now temps were in the high 70’s. Each cold training day during my six-week hiatus, I would stare out the window and wonder if I should be taking advantage of the good conditions. Training can definitely be a sacrifice in that sense, but its an invenstment that can set you up for huge returns in the future. My first burn on the route was a struggle, and I was unable to do the setup move. This was my first day on rock in six weeks though, and such days are usually a trial, followed by massive leaps in progress. 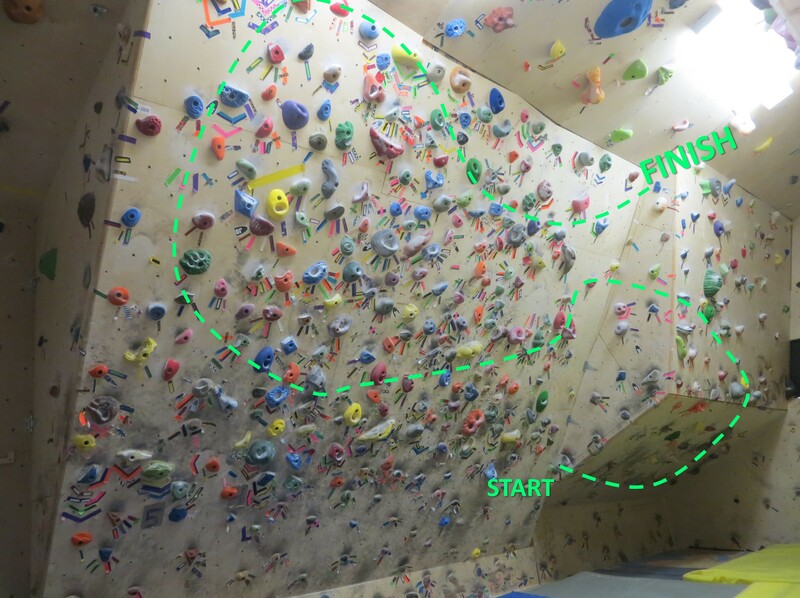 On the next go, I stuck the setup move, on redpoint, for the first time! Of course, as I predicted, I fell on the dyno (stupid self-fulfilling prophesy 🙂 ). I was finally back to where I was before I broke the crux hold, and I could tell the send was close at hand. Nearing the top of the arête. I still had some training to do, so I took a few days away from the project. On my next day on the route I stuck the setup move on both attempts. Now I was discovering the difference between doing the dyno fresh, off the dog, and doing it from the ground. When I was dogging, I had the strength to lean my head out and locate the target hold before the throw. Not so on redpoint. I had to learn to ‘fly by my instruments’. I practiced the move a silly amount, and eventually got a link from so low I might as well have started from the ground! After a rest day, I returned with Kate to try again. If I didn’t send today I would have to make a choice to postpone this route, or my summer project. ‘One in the hand is worth two in the bush’ and everything, but still, I really wanted to send today. I got everything ready and stepped off the ground. And then I fell, on the second stupid slippery move! I lowered back down, re-chalked, and took some deep breathes. That’s one way to deal with the nerves. Again, I set off… I flowed powerfully from move to move, climbing quickly and confidently to the arête. After a quick slap and foot shuffle, I was at a precarious shake. The undercling flake was below, and I had one last chance for a quick chalk and some deep breaths before the crux boulder. I moved through cautiously, not as fast as usual, careful to place each hand and foot correctly. Match hands, unwind, high step, flag. Now I’m setup. Trust your beta and slap! ‘’Yaha!” Kate shouts. For many weeks I’ve wondered what it would feel like to stick that move. It felt good. Solid. But there were still plenty of hard moves to come, so I wasn’t quite relieved. 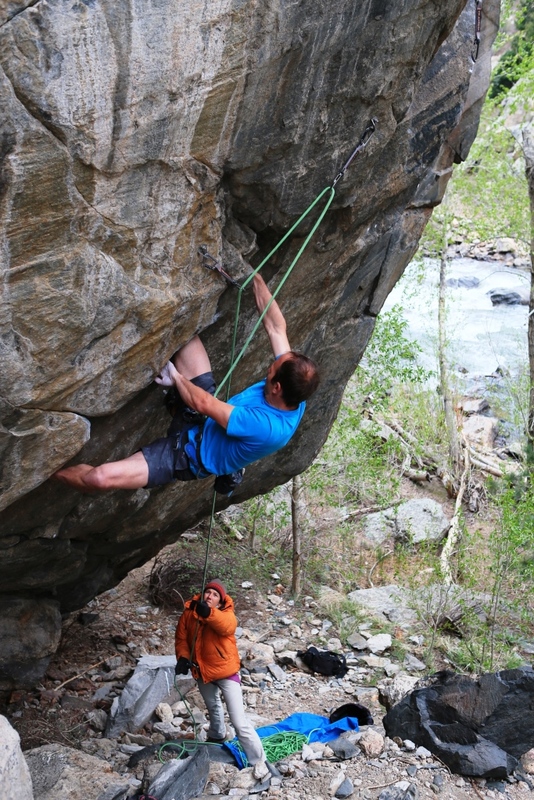 Some tricky footwork and an off balance slap to a greasy sloper lead to a good shake. But I don’t need it. Just chalk each hand and push on. Big reach, toe in, shift hip and stab your fingers into the crack. Stand up tall, false grip, high heel hook and reach for the lip. Chains! Finishing up the outstanding arête. Photo Mike Anderson. I named the route I Don’t Know What It’s Called, I Just Know The Sound It Makes When It Takes A Man’s Life (aka Beretta), a reference to my favorite comedy Tropic Thunder. This is my ‘best’ sport climbing first ascent to date, by which I mean it’s the highest quality route I’ve done first. I think it’s a really awesome route! The rock is excellent throughout, the movement is stellar, cerebral, and continuous. There’s no contrivance or unpleasantness. 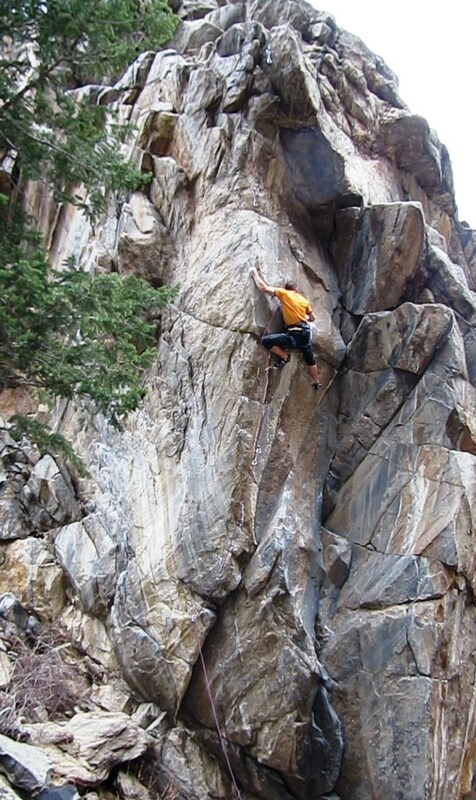 I think it’s one of the top three or four hard routes in Clear Creek Canyon, depending on your tastes. From head to toe it’s a brilliant route, and one that I feel extremely lucky to have climbed first. I can’t thank Luke enough for having the vision to unearth this gem, and for the generosity to open it up to the likes of me. Beretta also happens to be my hardest FA to date, at solid 5.14b. I’m inclined to say its a hard ‘b’; it took me eight days to send, whereas Mission Impossible, at 14c, took me 10. Granted, MI is a bit more my style in terms of length and continuity, but they both feature stopper, bouldery cruxes, the sort of thing I usually struggle with. I wish I could savor this one for a while, but “summer” is here and I have another project waiting for me….